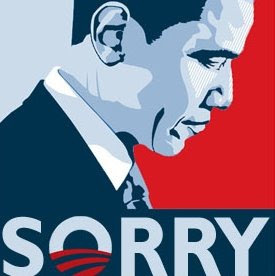 Obama Administration paying to say sorry – The President of the United States, the most powerful man on Earth, is buying TV ads in Pakistan with our tax dollars to tell Muslims he is ashamed of the fact that we have free speech. Both Barack Obama and Hillary Clinton are featured in TV ads paid for by the State Department and now running in Pakistan. They are actually apologizing because someone in the United States used their freedom of speech to be critical of Mohammed. It doesn’t get any worse than this. Read more in a UK newspaper. Although some media outlets continue to blame rioting on the non-existent movie about Mohammed, evidence is overwhelming that this was not the case. Why Mr. President Why? – A great new one-minute commercial is now running, asking Barack Hussein Obama why he is inviting the Muslim Brotherhood to the White House. The commercial exposes the Muslim Brotherhood that Obama seems to so love. See it here. Senator champions religious freedom – Before he was elected to the Congress, Senator Roy Blunt was president of Southwest Baptist University in Bolivar, MO. He understands the issues that religious institutions face under ObamaCare and has written an op-ed in a Missouri newspaper about his concerns. NOTE: Islamic organizations are exempt from all ObamaCare rules being forced upon Christian and Jewish organizations. A prophecy come true for America – This past week I wrote an opinion editorial for WND.COM that spotlights a dire warning made about Western civilization 100 years ago by William Booth, the founder of the Salvation Army. The article shows how Booth predicted godless government and a Christless church. Read it here. Syria: 100 Afghans killed in Aleppo – In a strike against a school used by “rebel” forces, the Syrian army killed one hundred (100) Afghan nationals who had come to Syria for jihad. It now appears that most of the front line rebel fighters are foreign jihadists, as the popularity of the revolt against the Assad regime seems to dissipate among Libyans. New Chairman’s Report –Now available, the September 14th, 2012 edition of William J. Murray’s Chairman’s’ Report. This issue contains several stories dealing with the current election cycle. Read it here!